Mojoy: Pictures with a queen. My good friend, Tashia, has a daughter, Taylor. Taylor recently entered and won her first beauty pageant. She will be entering the Miss Louisiana Teen pageant in June. To show our support, our family bought an ad in the program for the pageant. 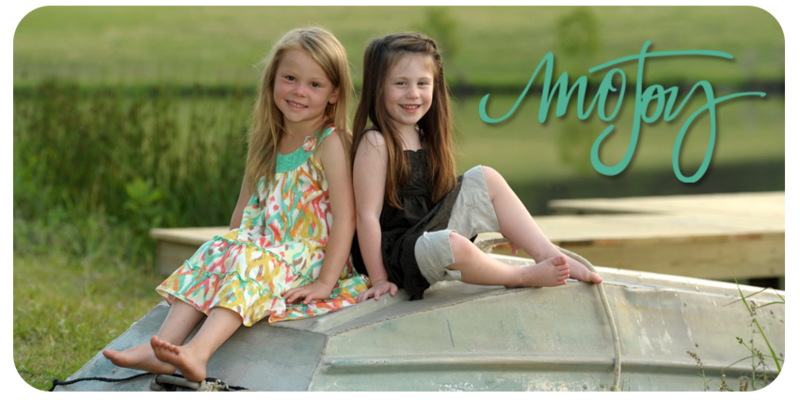 And you KNOW if we are doing an ad, then I will absolutely will have my precious baby girls' picture in the program. Just sayin'! Ellie, naturally, hearing the word, "queen", had to run inside and don her crown! Gabbi, caring not what she wore in any way, was dressed in a precious knit outfit that had ruffles and was exactly one of those things that I would've had to BRIBE her big sister to wear! And then she ever so sweetly posed with Taylor, smiling, with her gorgeous hair flowing in the wind. Ha. Can you tell my Gabbi Girl kinda has me whipped lately!? Sweet doesnt' even BEGIN to describe her! Staci did an ad too. Here is Madi with Taylor. Have I mentioned Staci is changing the spelling of Madi's name from Maddi to Madi. Whatever floats her boat! Good thing it is being changed now before she actually learns to spell it! And here's a picture of the whole crew. That is "big girl" Emma Lou, who will be one of five serving as Taylor's princesses. Things have changed a whole lot since my pageant days. Oh. Have I mentioned that Staci and I were pageant girls? I mean, like BIG TIME pageant girls. And I also mean as GIRLS!! The last one I participated in, I was 13. Mom let me decide if I wanted to quit. To hear her speak of it, I did! And that was that. Never entered another one. While on that point, have I ever mentioned that both Staci and I were state queens in our respecive age groups. Waaaay back then, you wen to world after that. I got second place in world. At age 5! I actually can still recite my runway speech that played when I was the ripe ol' age of six and had to relenquish my crown. How hysterical is that?! I considered putting Ellie in one that is coming up. I just really wondered what she would do and how she would handle the attention. Either GREAT or HORRIBLE. I don't think there'd be any in-between! Our talent was always dancing. I could never sing. And by "can't sing", I mean CANNOT SING! How big shot do you think Ellie is feeling in that picture above?! Speaking of big shot, Taylor is to Emma as Emma is to Ellie!! ANd lo and behold look who showed up for the big photo shoot. Wait. Staci. Are you entering the pageant?! Please tell me you are going to dance. I will DEF be on the front row to catch that one. Here is my friend, Cindy's, little girl, Angel Grace. We wish Taylor the best in this pageant. But, understand.... the girl has got some SERIOUS little girl following!! More on this tomorrow!! Ellie would NOT be outdone. She went in, changed clothes, added some accessories, and was back out in a flash! See ya tomorrow. Too cute...your girls continue to amaze me! They are both not only cute, cute, cute....but smart! Enjoy them Mo...they'll be grown before you can turn around twice! Your girls are adorable, as always. Love both Ellie and GG's outfits. Great to see Madi in the action also, she is so cute and looks so much like Jake! Congratulations to Taylor! I hope she wins the next pageant. Oh Mo ~ How cute is that? They all look so good!! That outfit you have Gabbi in is way adorable. Good for Ellie - running in to get all her accessories I think she would be all over it if you were to enter her......just sayin. She is quite the ham. Love you have all these girls in the neighborhood. You can see the idolization each has for the other. Funny to see Emma have that same idolizing look that Ellie gives her. Love all the girls and their cute outfits. Still amazed that you and Staci were pageant girls. Can't see you all in pretty little dresses. Your big, charismatic personalities would been a big benefit though. I imagine Ellie in a pageant would be interesting. You are right thinking it would either be a love or hate thing with NO in between. How'd you get Ellie into the cute pink ruffly outfit for this photo shoot? I would've expected a tank top, denim skirt and leggings! The girls look adorable! I love Ellie's outfit too! You HAVE got to scan some Mel/Staci pageant pictures! We want to see! Beautiful, beautiful girls...I just love all those sweet faces! i think your singing is lovely!! And I can so totally see Ellie in a little miss beauty pageant! Her infamous poses would WOW the judges! !